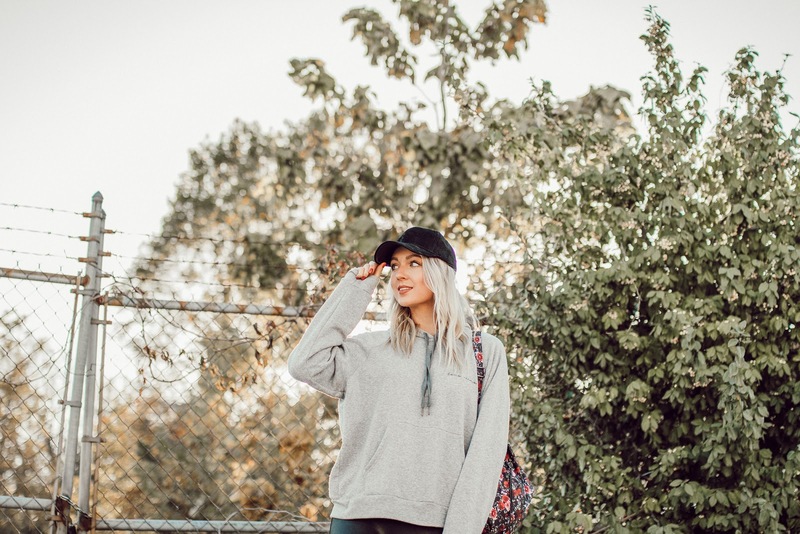 In stark contrast to yesterday's blog post, I bring you a comfy-cute athleisure outfit that I am allll about lately. It's so funny because some days I'm super extra with outfits, and others I want nothing more than to be comfy. 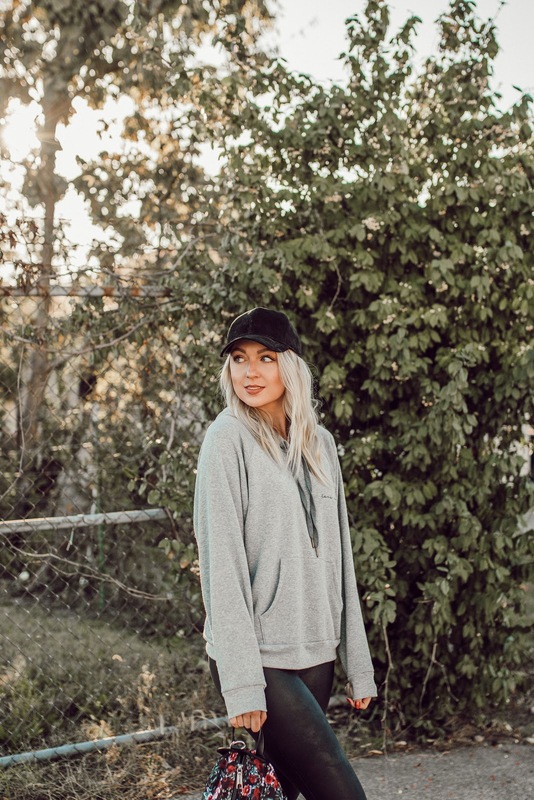 To be honest, athleisure outfits don't come the most naturally to me, but I always love them on other people! Maybe it's because I'm not super athletic, but sometimes I feel awkard looking in workout and athleisure clothes. That being said... I do think I'm getting better at athleisure, and I think a big key is still having a couple of details that pop and/or make your outfit interesting! 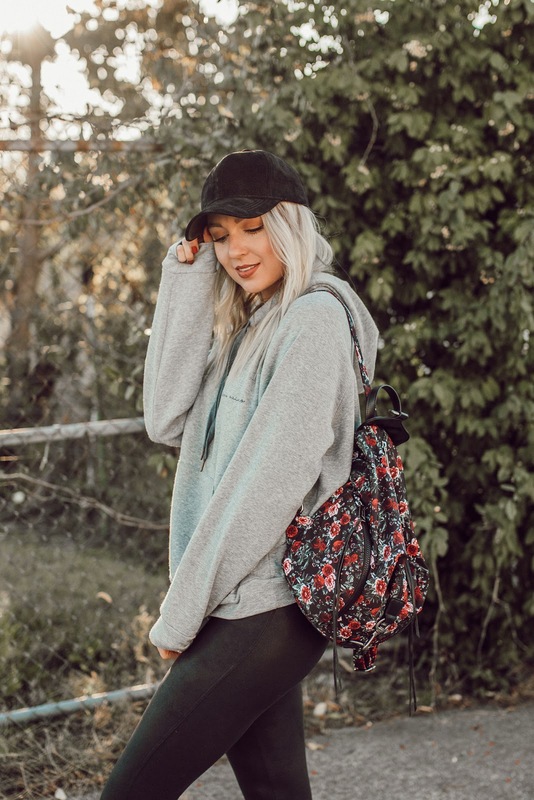 In this look I have a mixture of textures with both faux leather and suede, the 'love wins' embroidery on the sweatshirt, and the pop of color and print in my backpack. 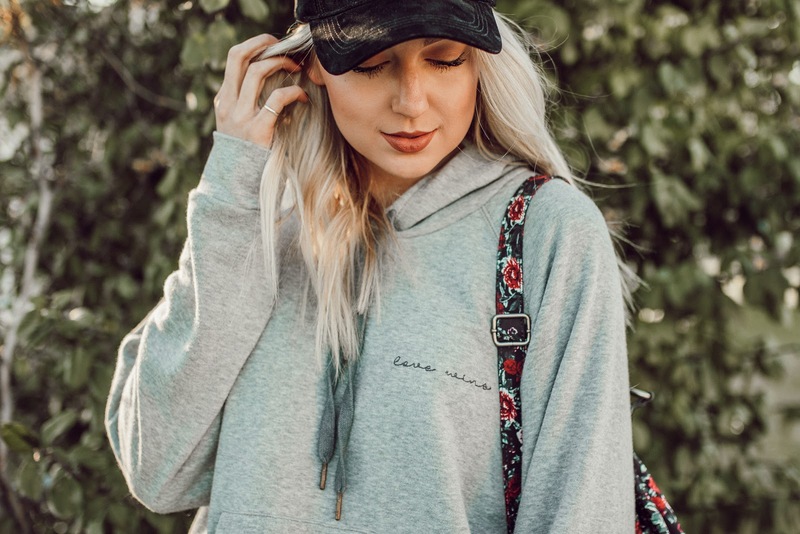 I was sold on this sweatshirt as soon as I saw the 'love wins' embroidery. Loving others is a message that can't be shared enough in my opinion, and I wish there was a lot more love and compassion in our country and around the world. It's easy to get bogged down in the negativity of the world, but it takes strength to keep spreading love and positivity, even in hard times. Every little reminder or piece of positivity can help! Picking out this sweatshirt is one of the better decisions I've made in the past month. Not only do I love the positive message, but it's also the softest, comfiest sweatshirt I've ever owned! No joke, I wore it every evening for a week after I got it. Sorry, not sorry if that's gross. I just didn't want to wear anything else once I got home at night! 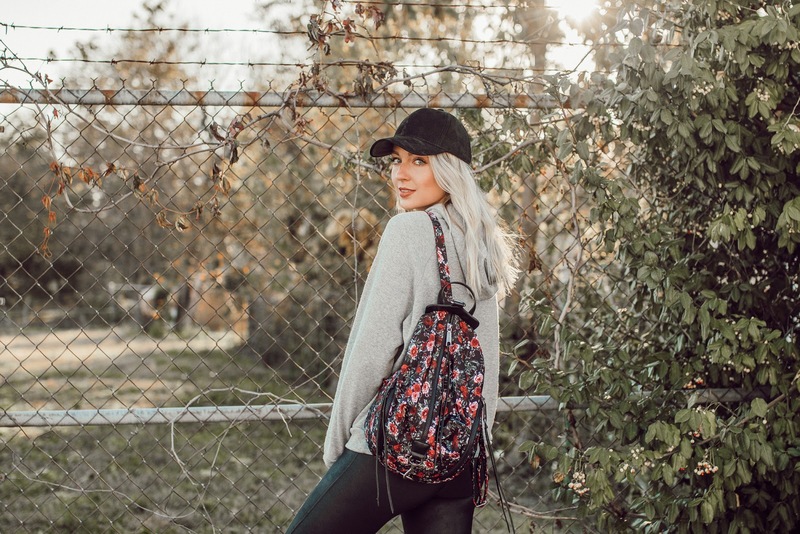 I was also so excited to style my new backpack! I'm loving a pop of red right now, so this floral was a must for me. It's the perfect medium size, too!